American Pet Diner - Timothy Gold Minibale Hay - 24 Case Great tasting timothy hay with mostly leaf and high green color. 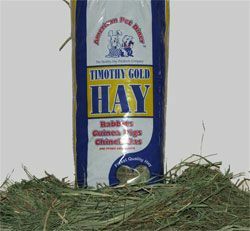 This hay is our most popular seller! Feed for increased fiber intake. Feed to all hay eating pets. American Pet Diner - Timothy Gold Minibale Hay - 24 Case-24 Case- product is categorised under Wholesale American Pet Diner products, Wholesale Small Animal Products, Wholesale Rabbits, Wholesale Food & Treats.